HANK PHILLIPPI RYAN: You never know, right? When what seemed to be such a great idea will turn into--not so? The other night, I decided a box of books was too heavy to carry down the attic stairs, so I figured that shoving it down the steps would result in it landing nicely at the bottom. It actually resulted in it crashing into the wall, leaving huge gouge in the paint and plaster. I also decided that three lipsticks that I had in the medicine cabinet could be rejuvenated by putting them in the freezer. Where this idea came from, I'm not sure, but it didn't work. At all. The lipsticks froze. Duh. It all started a few years ago, when I visited the FBI Academy at Quantico. I was thrilled, because I love writing FBI characters. I love everything about them: the country-spanning investigations, the interesting specialties (from profiling to hostage rescue to SWAT), the badge that reads “fidelity, bravery, integrity.” I could hardly wait for the visit. When it finally arrived, I expected the tour of the Academy, the up-close look at Hogan’s Alley where New Agents in Training do practice scenarios, and the run-down on major cases and investigative methods. What I didn’t expect was to be led out to the firing range and handed a variety of weapons, from a Glock pistol to a Remington shotgun to an MP-5 fully automatic sub-machine gun. So, naturally, I’d worn a skirt and heels that day. Fast-forward a few years, when I sold my first five novels, and it was time to create a website. My web designer and I figured out a design and when the first mockup was ready, I only suggested one change. I wanted to replace the male law enforcement character (a serious-looking guy wearing dark glasses and pointing a weapon) with a female character, since the lead in my debut was an FBI profiler named Evelyn Baine. Instead of finding a replacement, my web designer suggested I make myself the FBI character. Turns out, when you put black electrical tape over the red tip of a fake gun (and also use it to cover “Secret Agent” written in gold on the side), it actually looks pretty dang close to the real thing. And there’s a cop who lives in my neighborhood. Plus a fire station up a few blocks. So, like any writer who spends a lot of time researching the stupid ways criminals get caught (pointing a fake gun in the general direction of her sister, who’s taking picture after picture of her out in the snow on her driveway? ), every time a car drove by, I frantically hid the gun and ruined the shot. Luckily, the story doesn’t end with me facedown on my driveway, with a horde of police officers around me, aiming real weapons. Instead, it ends with me finishing up my website – I think I pulled off “serious federal agent” – take a look at www.elizabethheiter.com and see if you agree! What “good idea” did you have that could have gone horribly awry, but didn’t (or maybe it did!)? HANK: So funny! But in the end, it did work perfectly. Unlike my box-of-books and lipstick ideas. 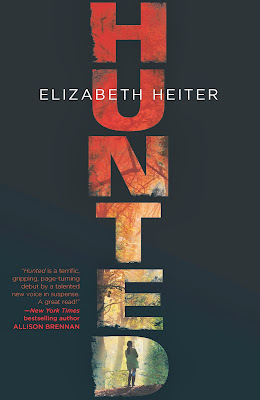 So--who wants to win Elizabeth's book HUNTED? Just tell us a good idea--or a bad idea! 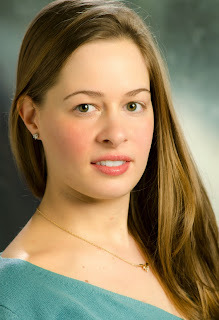 Elizabeth graduated from the University of Michigan with a degree in English Literature. Her manuscripts have been finalists in the Golden Heart®, Marlene, Daphne Du Maurier, and Golden Gateway contests and she won Suzanne Brockmann’s 2010 Haiku Contest. She’s a member of International Thriller Writers and Romance Writers of America and has volunteered for several chapters, including serving as the Greater Detroit area president. In 2012, Elizabeth fulfilled a lifelong goal when she sold her first five novels. ::sigh:: So many ideas that didn’t quite turn out as expected . . . there was the time I let the Little One play with the car keys while we shopped. Bad idea. Really bad idea. Done shopping, cart full of stuff, ready to leave . . . no car keys. Not anywhere. The poor folks in the store are hunting through the shelves, searching every corner of the floor. But there's not a key in sight. Husband is at work, but finally I call the police department anyway and they send him to rescue us [that would be me and three toddlers]. The keys finally surfaced, but it certainly was not one of the brightest things I’ve ever done. Joan's story reminds me of my FIRST car trip (to the grocery store) after my first baby was born. I get home, baby in the back asleep in the car seat. I empty the groceries from the car. Baby still asleep. I get in the car, turn on the radio. Wait. Remember something in the house. Go in. Come out. Baby is awake now. Crying, of course. Car radio is going. Keys are in the ignition. Car doors are locked. Did not make me feel like a competent new mom. Fortunately in those days you could open a locked car door with a wire coat hanger. Thanks so much for having me here today, Hank! Joan, I think it must be a rule that all babies love car keys! With three toddlers at the grocery store, and you only lost your keys...not too bad! Hallie, I can't imagine how frantic you must have been, after realizing the car was locked. But I'm pretty impressed you opened a car door with a coat hanger! You opened the door with a coat hanger? WHOA. And Joan..sigh. So frustrating! But a good story now, right? And welcome, ELizabeth--don't forget to tell us a bit about HUNTED, okay? Out of gas, a young lady and her friend pushed their car into the gas station. The attendant -- me -- put $2 of gas in the tank which practically filled it in those days, but the gas line was empty and we had to wait for the gas pump to send fuel to the engine. I decided to speed the process with a trick I'd just learned -- put air hose in gas tank opening, blow gas up the line. It worked before, but this time, I blew out a seam in the gas tank. The girls were pretty understanding but not my boss. Took me weeks to pay that one off. I already had my plot in place when I took that visit to the FBI Academy, but it was wonderful to confirm really specific details – and it’s always good when a Special Agent says he can tell you’ve done your research! My debut, HUNTED, takes place very close to Quantico, in a little town called Aquia, where the FBI hides away its Behavioral Analysis Unit, and its profilers. My heroine, FBI agent Evelyn Baine, gets assigned to profile the “Bakersville Burier,” a killer who abducts and murders young women, leaving them buried up to their heads deep in the woods. He’s savvy, and Evelyn knows he’s killed before. She also knows that unless she can help the police find him, he’ll strike again. But as she digs deeper into the case, the Bakersville Burier begins to track her too. Suddenly, she’s the one being hunted! I call "bad ideas" learning experiences, and have so classified most of my dating experiences . . .
Also, the one time I taught summer school, my students had been keeping track of my mistakes (after I made a quip about teachers never making mistakes). On the last day I challenged them to figure out the biggest mistake of the summer. It only took them a few seconds, "Teaching summer school." I told them we all should find better things to do in future summers and that I hoped they all passed their classes the next year.
. . . What is it about keys? Babies do love them!
. . . and about that photo shoot, could you perhaps have put a sign in the yard to reassure passers-by? The website picture is great! Whoops, Jack!! That makes for a good story now, though...and $2 to fill a gas tank? Seems crazy that now you'd be hard-pressed to get a latte for that much! Thank you, Libby! I had fun doing the shoot (except that it was really, really cold outside that day!). Beware of writer! I love it on all levels...we should make bumper stickers. My bad idea fortunately ended well but I still wouldn't recommend it. My roommate in college and I decided to hitchhike to her house which was about a two hour drive away. We thought we were being so smart (and protective) by stealing a small paring knife from the cafeteria. Thus armed we went to stand by the road and wait for someone to stop. A student from school stopped, told us we shouldn't be hitchhiking and took us as far as he could. Finally a salesman who had a daughter our age stopped and drove us right to my roommate's door. Dumb idea that could have gone very wrong and been fodder for one of your books! It LOOKED cold outside in your video, Hank! I've never been to Boston in the winter. In fact, my only trip there was another "seemed like a good idea." Seemed like a good idea to drive my friend's car from MI to MA. Only it broke down as soon as we got on the freeway to head home. Next problem? It was Sunday in MA, meaning nothing was open. Also, at the time, the group was all under 25, so we couldn't rent a car. "Yes, I work for Hewlett Packard. And the Eagle has landed. Repeat, the Eagle has landed." Lurking isn't the best thing to do in a foreign hospital, especially when you're carrying around a notebook. (Doh!) It's hard to look nonchalant when you're eavesdropping and peeking into hospital rooms. At least I didn't kicked out! Once as a reporter in Atlanta, I had to go into a hospital,completely legitimate, for a story. It was the dead of summer, in the south, so I had on a blue and white striped silk dress and a white linen blazer. A doctor, who didn't know I had permission to be there, came into the room--and freaked out. He recognized me, and then accused me of trying to impersonate a nurse. They even called my news director to complain. Oh, that's a good one, Hank. Impersonating a nurse -- really? Dr. Doctor, nurses don't wear silk on the job! Yeesh. I know..silly man. And it still drives me crazy, since I would NEVER have done that. Anyway, just like you, a nice guy stopped, fatherly, though, and yelled at us all the way to CIncinnati. We took the bus back. Can you believe any of us were ever crazy enough to hitch-hike? Or do lots of the things I did as a teenager, which I am not mentioning! As a grown-up? More dumb things than I can count. The latest that comes to mind is going to England last March with nothing but a very lightweight raincoat. It's spring, I thought, I'll just layer. Ha ha ha. It was the coldest March in fifty years. You could not buy a coat in London to save your life. I have never ever been so miserable. The good part? A month ago I bought myself a wonderful down coat from Eddie Bauer. Not going to the UK between October and April without it. WINNERS!From Tuesday! of The Wrong Girl are JeanStafford and Karen B-- I have messsaged or emailed you..let me know! And Hurray! And who will win today? There's still time! Funny enough, I had the same coat problem in San Francisco in July! Hi Elizabeth and hi everyone! Elizabeth and I have been Twitter friends for awhile, so I'm thrilled she's here — what a great story! Can't wait for the book! Glad it all turned out okay, Pen! (Sounds like that could have really been bad! )...and it's funny you corrected the typo, because I read it as your boss calling the cops, and thought: that's a bit of an overreaction to a late employee! Pen, they LAUGHED? Awww...xoxoo (Picturing this now..weren't you cold? Pen, so sorry, couldn't help laughing. What a picture! Glad you were okay! A little like Deb, I went to Paris last march without a winter coat. I had already gone to England and Ireland in march without one: no problem. But last winter in Paris, we walked in six inches of snow, no boots, no winter coat and were frozen. I only had four days there and didn't want to waste time shopping. Next time I'll be ready. 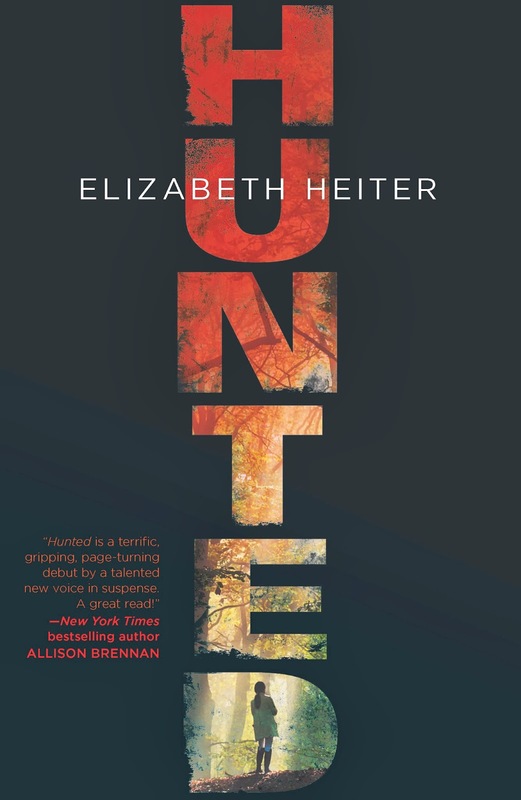 And the winner of ELizabeth Heiter's HUNTED is PEN METTERT! ANd the winner of THE WONG GIRL is Peg Cochran! EMail me at h ryan at whdh dot com with your addresses..and how you want the books signed! One Word. Two Syllables. Know What I Mean? The cards are in the mail! Really. They are. A bissle brisket for the holiday? You're Invited To a Jungle Reds Cocktail Party!